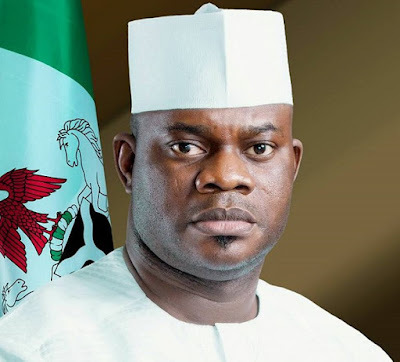 The Director General on Media and Strategy to the Governor of Kogi State, Kingsley Fanwo has said the Governor is making “fundamental changes” that is making the state a “beautiful and viable destination for business”. Fanwo said the Governor has created a “safe environment” for business to thrive, assuring that Kogi’s best years are “loaded in the tenure of Governor Yahaya Bello”. “With improved security and aggressive investment drive, Kogi is gradually building into a beautiful business destination. The state is realizing its potentials as the economic confluence of the nation. “The present administration has invested heavily on security. Up to the month the Governor took over, kidnapping and robbery were daily occurrences. Today, the magic wand of the Governor has changed the story. More patrol vans and gadgets were procured, the entire security architecture of the state was remapped and the people were thrusted at the center of the project. “Kogi has recorded massive milestones in agricultural development across the three Senatorial Districts of the State. The Kogi Property and Investment Company has also been rebounded to play key roles in putting Kogi on the global business map. “Therefore, we are not surprised by our rating as the state with the lowest inflation rate. But government is not satisfied with what we have. This administration has has a clear vision to reduce poverty through our New Direction Agenda."